Maharaja Ranjit Singh was born in 1780 in Gujranwala. He was named Ranjit Singh by his father Mahan Singh, the Sikh ruler. 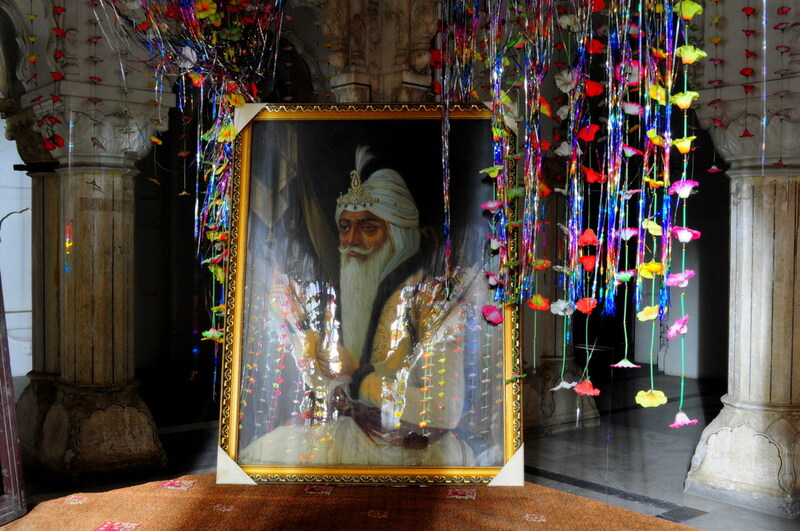 Ranjit Singh had his first taste of battle when he was hardly ten years old. It was Sahib Singh Bhangi (they were called bhangis as they use to drink ‘Bhang’ all the time) of Gujarat (a town in Punjab, now in Pakistan) who refused to pay tribute to Mahan Singh and his estate, and was attacked by him. Mahan Singh died in 1792 when Ranjit Singh was only 12 years old. Being too young to manage the affairs of the state his mother Raj Kaur became his guardian. Ranjit Singh learnt riding and shooting in early years of his life. 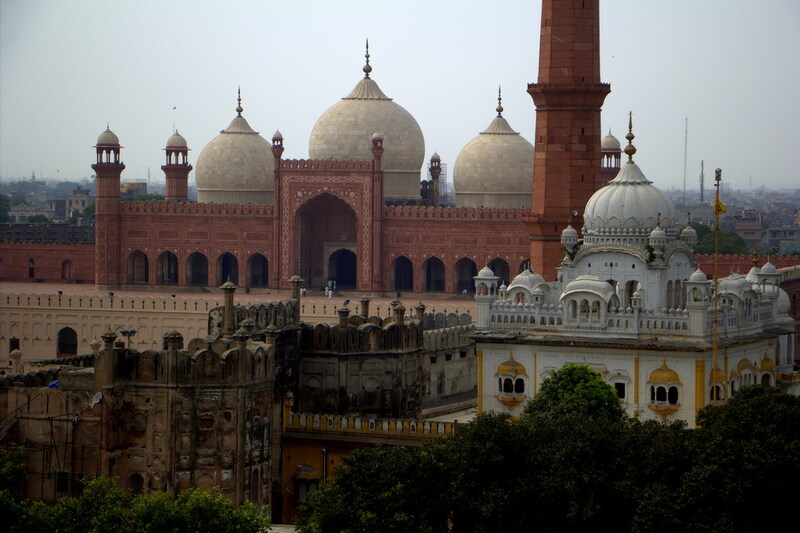 As per Sikh History, it was July 7, 1799 when victorious Ranjit Singh entered Lahore. On April 12 1801, Ranjit Singh declared himself Maharaja of Punjab. Ranjit Singh, the one-eyed Sikh ruler of the Punjab (ruled 1801-1839), considered himself the heir to the Mughal Empire. 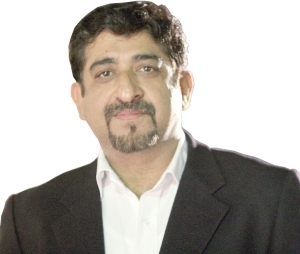 Among the people he was known as Sher-e-Punjab (lion of Punjab). He not only followed many of the customs of the Mughal court, but also built buildings utilising elements taken from Mughal monuments. 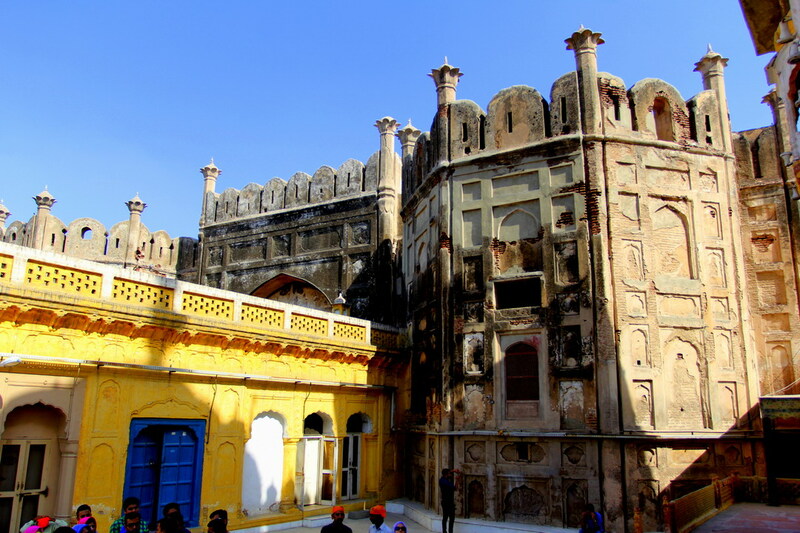 Historic accounts state that even though he had conquered the citadel of the Mughals, he is said to have never seated himself on the throne in the Fort. 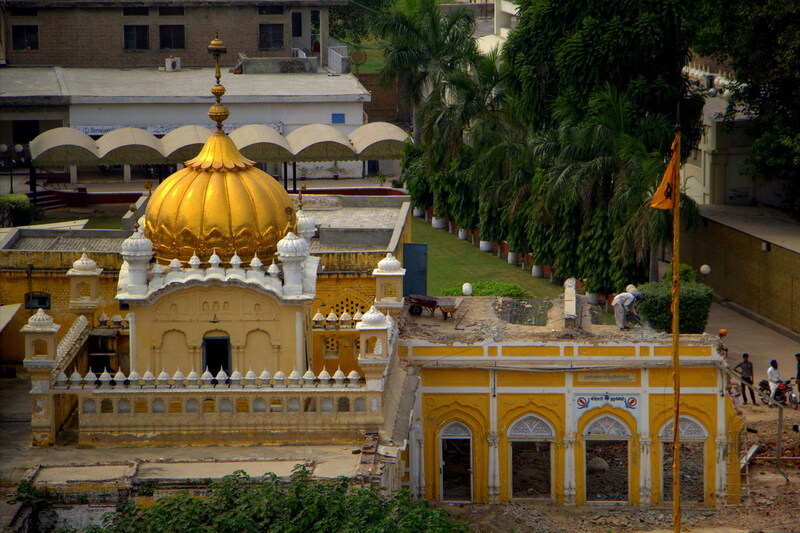 The Samadhi I am writing about is the mausoleum of the same popular Sikh Ruler, Sher-e-Punjab. It is located near the Lahore Fort and Badshahi Mosque in Lahore and banks upon the only existing Mughal era gate, the Roshnai Gate. 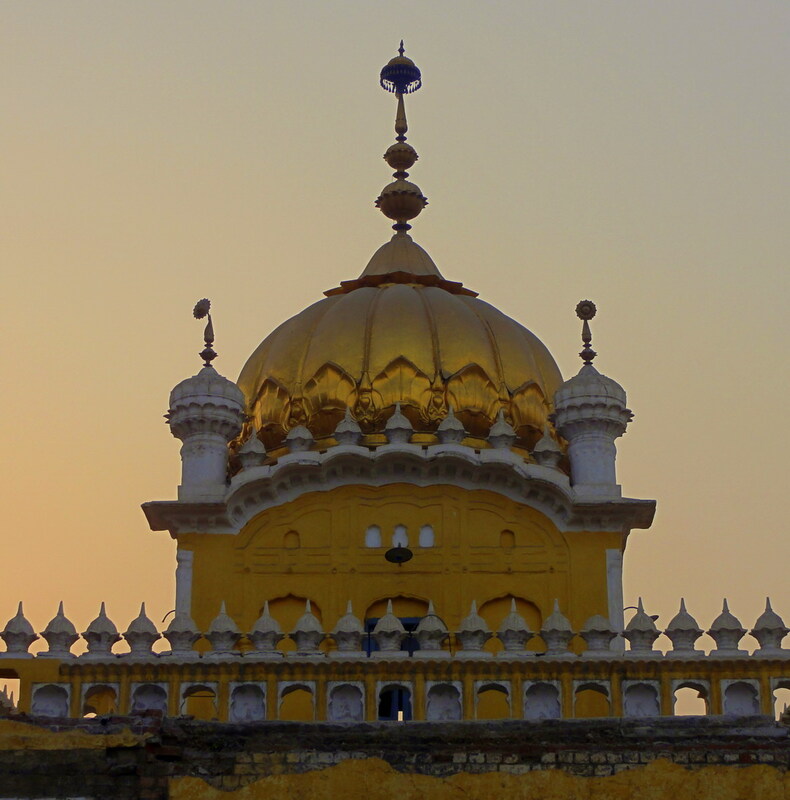 Its construction was started by Maharaja Ranjit Singh’s son, Kharak Singh, on the spot where Ranjit was cremated, and was completed by his youngest son, Duleep Singh, in 1848. 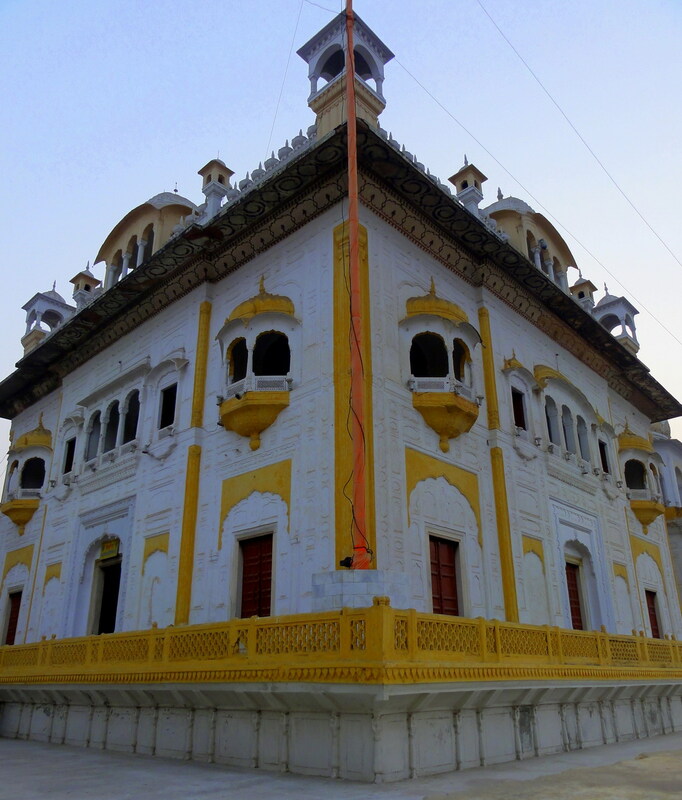 The Samadhi is a beautiful blend of Hindu, Sikh and Muslim architectural styles. It has gilded fluted domes and cupolas and a complex railing round the top. The front of the doorway has images of Ganesh, Devi and Brahma, the Hindu deities, cut in red sand stone. The dome is heavily decorated with Naga (serpent) hood designs, a rich and fitting tribute to Hindu craftsmanship. The wood panels on the ceiling are covered with stained glass work and the walls have rich floral designs. The ceilings are decorated with glass mosaic work. Maharaja Ranjit Singh’s ashes are contained in a marble urn in the shape of a lotus, sheltered under a marble pavilion inlaid with pietra dura, in the centre of the tomb. The Maharaja does not lie alone there. Surrounding him, in smaller knob-like urns, are the ashes of four sati queens (burned alive on the pyre with their husband) and seven slave girls. The ashes of two pigeons, burnt while flying over the pyre, also have their place in the Samadhi. This Samadhi was originally built on eight pillars. Due to depreciation of the building over time cracks appeared in the pillars. The British government, under the orders of Sir Donald Macleod, late Lieutenant-Governor of Punjab, erected thick iron rings around all the old pillars and raised eight additional pillars. The entire building is now supported by sixteen pillars. 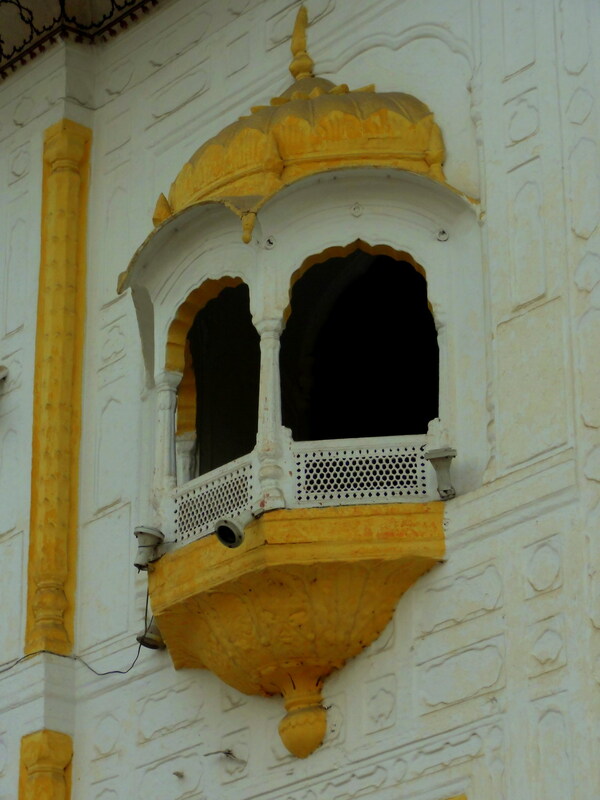 There are indications that some of the material used in the construction of this building was taken from the Mughal buildings, especially the Fort. The large marble door frame of the main entrance the Samadhi, ornamented with pietra dura work, corroborates that it has been taken from the Sheesh Mahal of the Lahore Fort. Similarly, about 21 other marble door frames at different places in the building apparently also came from some other Mughal buildings in the Fort. This is also proved by the fact that while building the Hazuri Bagh pavilion, Maharaja Ranjit Singh got many pieces from Jahangir’s tomb in Shahdara. 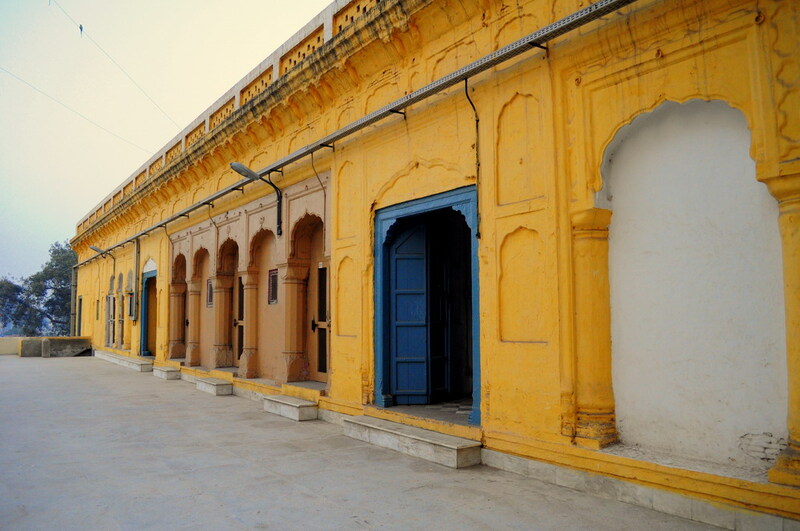 In the same complex are the Samadhis of Ranjit Singh’s son Kharak Singh and grandson Prince Nau Nihal Singh who had built the Haveli Nau Nihal Singh now known as Victoria School. The possession of this place is with the Evacuee Trust Board. 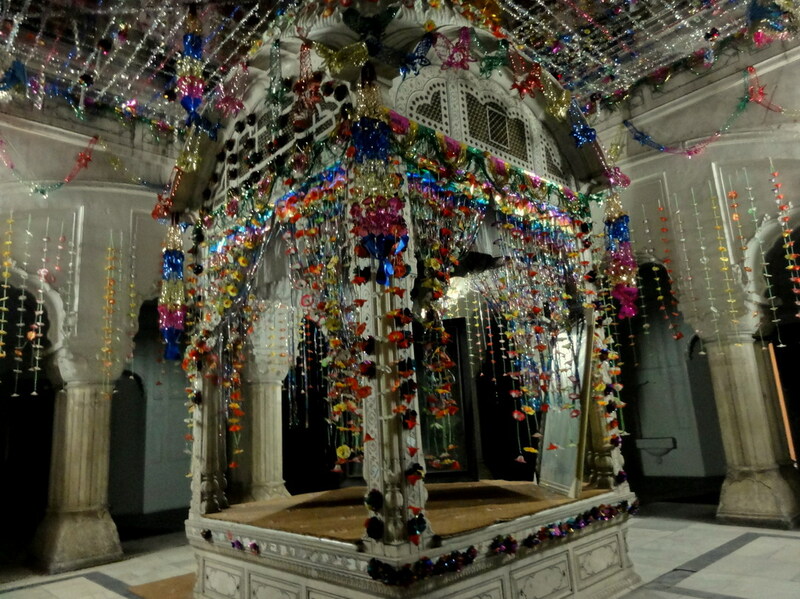 The ensemble, which also has the Shrine of Guru Arjan Mal — the fifth Guru of the Sikhs — is not easily accessible to the public and is not a tourist site. One has to route through several permissions and security checks before entering this complex. 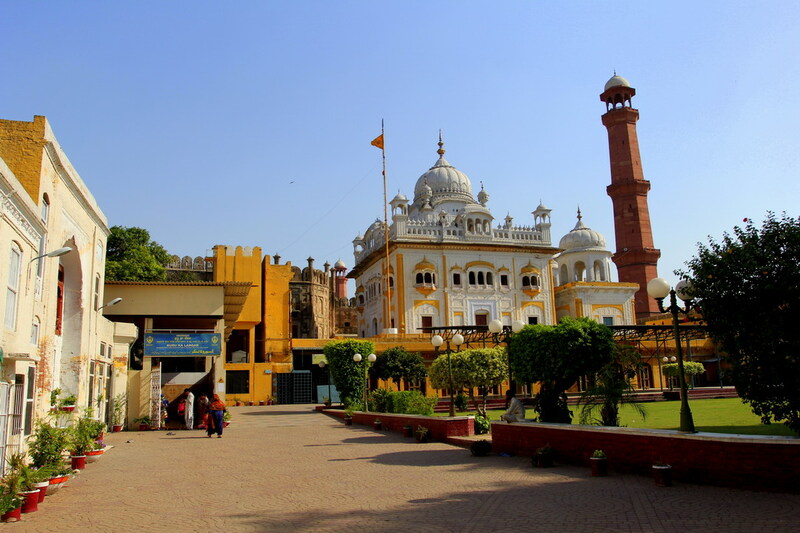 Within the site it now has arrangements for hosting innumerable Sikh Yatrees (pilgrims) coming from India and other countries on their religious days. In my opinion, it should be a tourist site, so that people from all religions can visit it as they visit the Data Darbar or any other Muslim shrine. Within the enclosure of the Samadhi long bearded Sikh priests will be found reading the Granth, or the Sikh scriptures, over which is reverentially waved a fan of peacock feathers, an emblem of sanctity. The sitar, so fondly heard by Nanak from his faithful disciple Mardana, is played and sacred hymns, describing the deeds of their gurus, are sung with fervour. 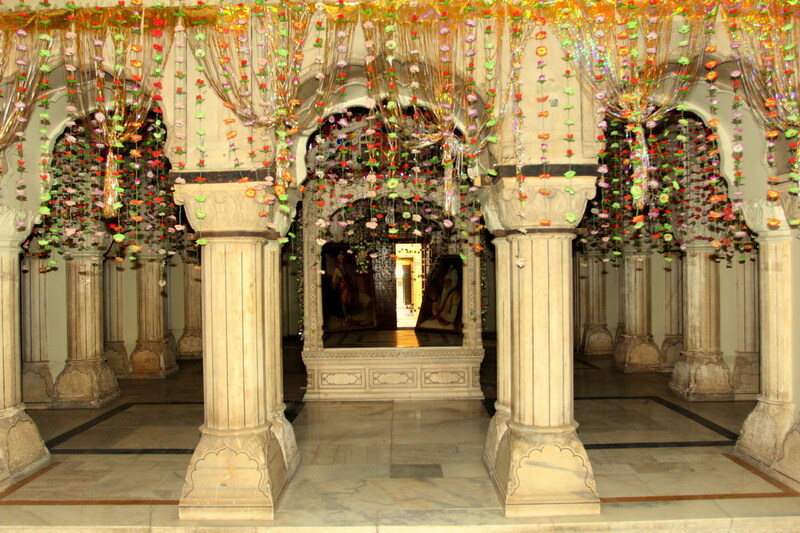 The Samadhi is a religious place of Sikh visitors. After partition of 1947 the place is a must visit site for the ‘yatrees’. Throughout its presence, the placement of this Samadhi shows the level of tolerance and religious harmony among the people of Pakistan. The prayers are going on at the same time, and I have never seen any conflict between the mosque and the gurdwara. What else can be the best example?